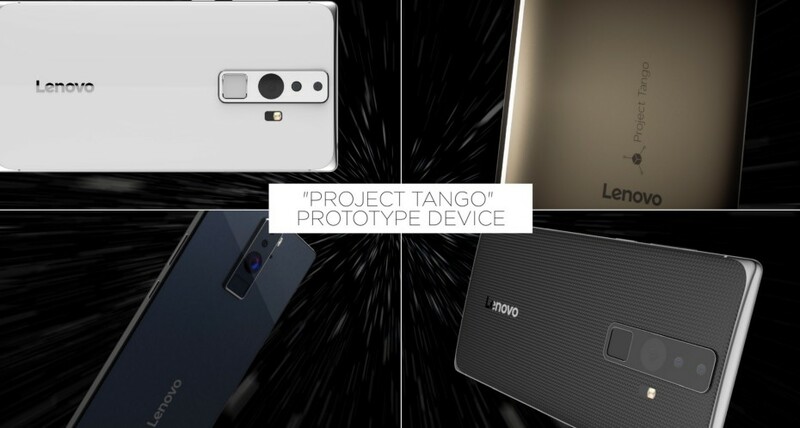 Lenovo is making the first Project Tango consumer phone. For past few years Chinese smartphone manufacturers have shown growing performance. We recommend to read this article fully, it is interesting how it could change your life. 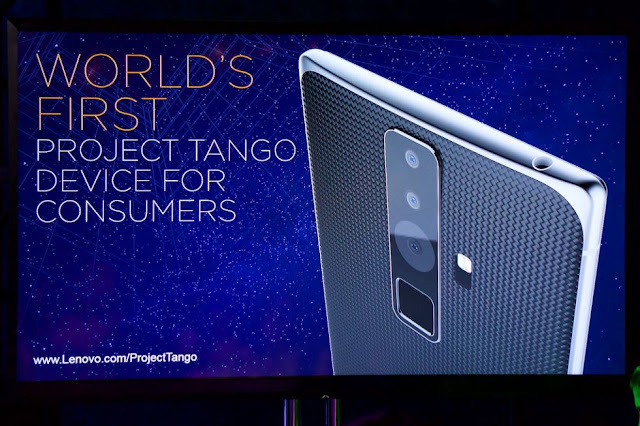 If you don't know Google's Project Tango is a depth sensing camera setup that enables smartphones and tablets to detect their position relative to the environment or world around them without using GPS or other external signals. To say in Simple words, self awareness by smartphone of the world around it. In CES 2016 Google and Lenovo announced the next step of the Project Tango. The smartphone will launch this summer for price less than $500 in US and other countries which are still be made official. 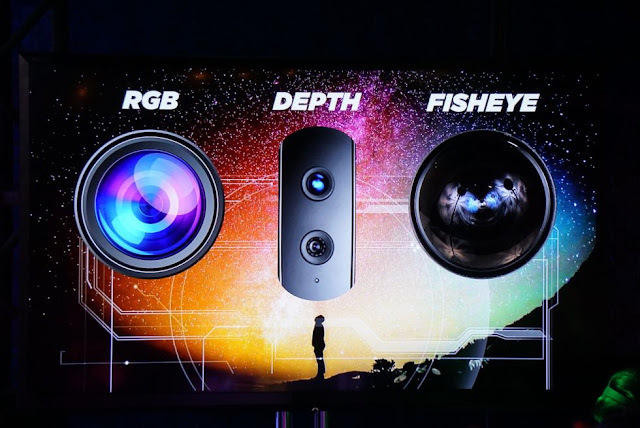 According to ARS Technica "The concept renders shown all demonstrated how Lenovo and Google had tweaked the camera to fir in a smartphone-sized design. Three vertical stacked lenses provide color and depth information and a wide-angle fisheye lens gives the cameras a sort of "peripheral vision for the phone ". So the data collected from these camera will be accumalted by the built in processor, which here is Snapdragon and used to build a 3D representation of whatever space you are in. Though which processor to be used was not announced. 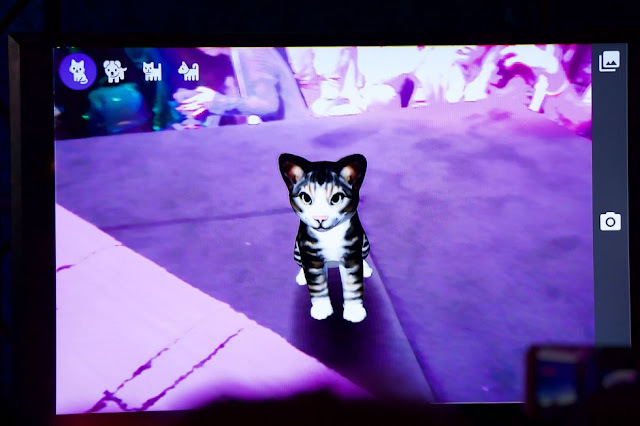 With Project Tango you could see virtual created objects in your surrounding like a Augmented Reality, once you have scanned the object, see how it is, play games, create a virtual pet and in my opinion the Architects could demo their ideas. So, are you excited? I'm. Comment what you think and share it, thanks.